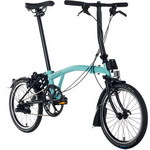 Brompton Models that we have in Stock and that you can see on our floor. 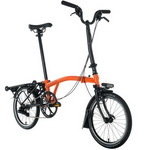 This page is updated daily so it should pretty accurately reflect our stock status of Brompton Bikes. Any eventual discount indicates the difference between bike in stock price and the current B-spoke (Build Your Own Brompton) price*. *B-spoke prices change from time to time to reflect significant changes in the CAD/GBP exchange rates (any change above 5%).